It’s been close to a year since I tried Butcher Box for the first time. At the time, I was a huge skeptic about buying grass-fed meat online. I was even more so unsure if it was possible while trying to work within a budget. That’s why it took me nearly four months and two full-size sample boxes to fall in love with the company and their monthly subscription boxes. So I shared my honest review of Butcher Box with you here. 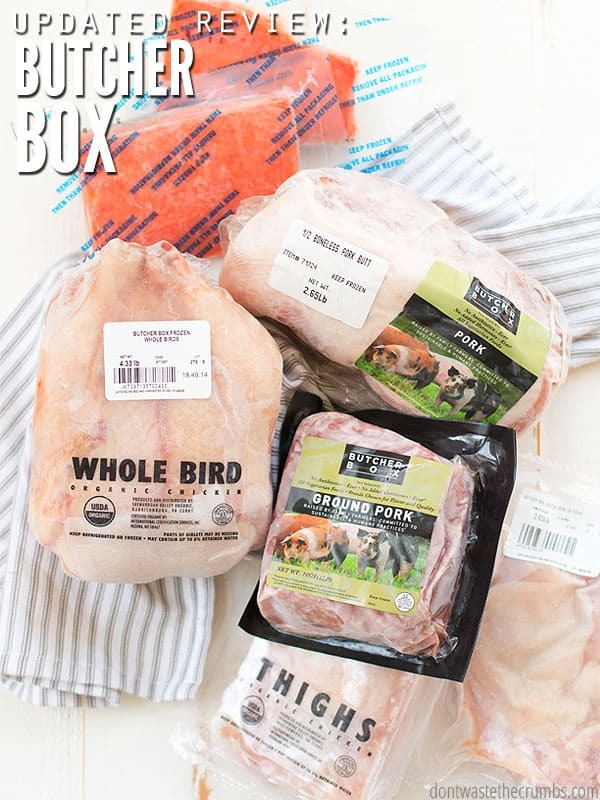 A lot has changed since I first purchased my subscription, so I wanted to provide even more insight for you in this updated Butcher Box review, so you can decide whether or not it’s a good fit for you and your family’s needs! Before I dig in, I need to share some personal back story on how and why we landed on Butcher Box in the first place. This was also because my husband doesn’t like ground beef. These super easy Italian meatballs? Or the best and easiest burger recipe? How about these fun giant meatballs? Or the best ground beef taco meat? Heck, even the ground pork in egg roll in a bowl? He won’t touch any of it. It’s a texture thing, and it overlaps into fish and pulled meat, too, with slow cooker carnitas being a huge exception; he requests that one often! In my mind, it’s similar to eating one type of vegetable. You don’t want to eat JUST carrots, all day, every day, right? You want to eat a variety of vegetables, aiming for one of every color, every day, for the purpose of getting a variety of vitamins and minerals. Last fall my husband and I started taking a B-complex vitamin from Young Living, primarily for the B12. He took it to help manage his nervousness and I took it to help with cognitive function and focus. It was a light bulb moment for both of us. We felt so much better!! And then it dawned on me – if we felt relief from a supplement, we probably weren’t getting enough B12 in our diet. But why? We don’t eat processed food and have been consistently preparing whole foods for several years at this point! Since we ate a balanced diet all around– omitting pork, beef, and fish– it still meant we were completely missing three of the best sources for B12! The simplest answer was to eat more pork, beef and/or fish, right? The problem was our real food priorities. We made it a goal in 2018 to buy organic chicken and grass-fed beef WITHOUT increasing our budget. And we met that goal! For several weeks, my weekends were consumed with researching how to get high quality meat locally and affordably. Fortunately, we live in a well-populated area and I’ve found a lot of possibilities. There are farms and CSAs within an hour or two driving distance from us. I even found a local reader who plans to breed cattle in the next few years! But since not everyone lives in the land of plenty, I dug up a few reputable online sources as well. 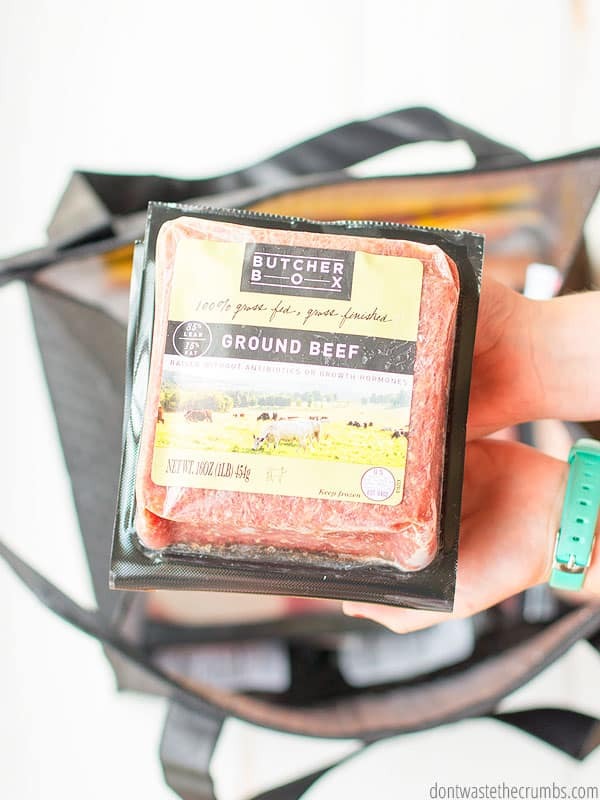 One of those sources is Butcher Box, who is in the business of delivering super high quality meat (grass-fed, organic and/or pastured) via a monthly subscription box to your front door. 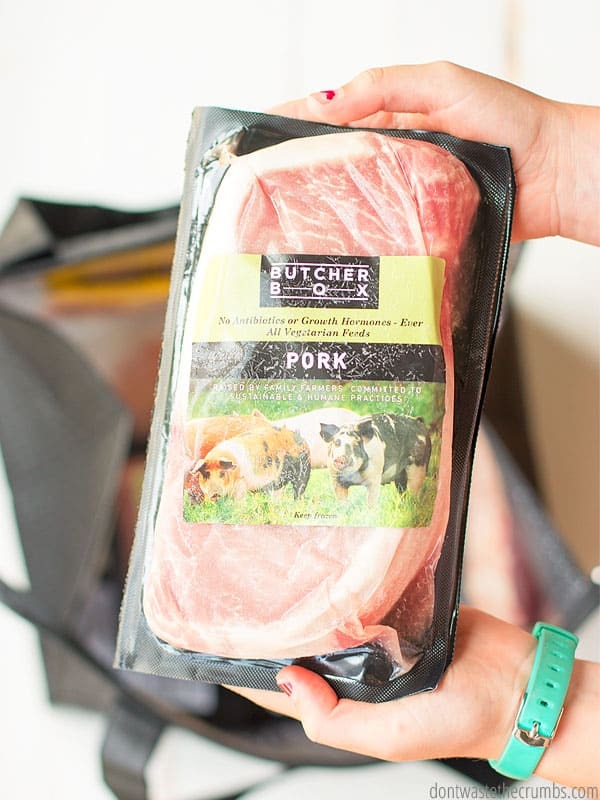 After sharing my personal experience and honest review of Butcher Box on the blog, I purchased my own subscription and we absolutely love it! I know that Butcher Box may not be for everyone. 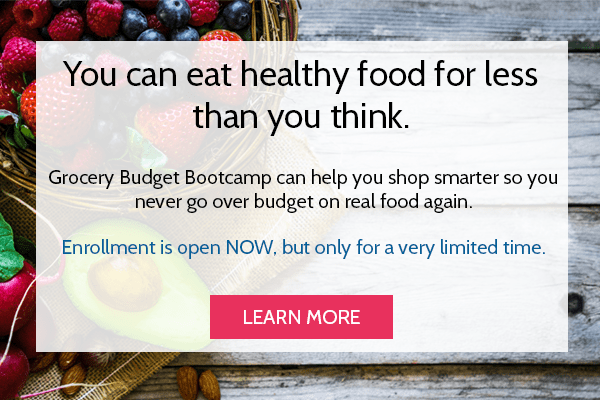 You have to consider where you live, your grocery budget, and what your family needs nutritionally. I also know that it’s really helpful to hear someone else’s experience to help decide whether it’s a good fit for you or not. That was my goal with my original review of Butcher Box, and that’s why I’m updating you with this review as well. 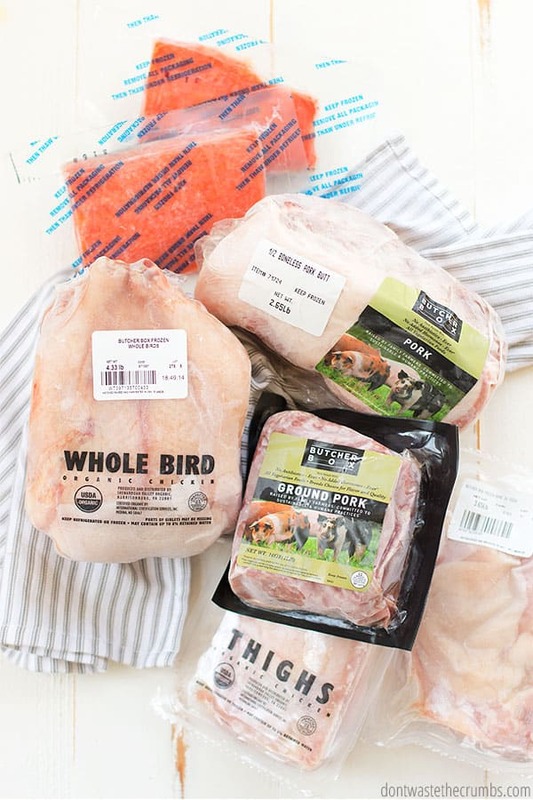 Butcher Box works directly with farmers to bring you grass-fed beef, organic and pasture-raised chicken, and heritage breed pork (that’s DELICIOUS!). When you join, you choose the type of box you want to get: mixed box, beef & pork, beef & chicken, all beef or a custom box that lets you choose specifically what cuts of meat you want each month. Choose between two box sizes: Classic (9-14 lbs of meat for about 24 meals) or Big (18-26 lbs of meat for about 48 meals). Change your order each month, so you’re never locked into one type of box. Read more about how Butcher Box works and pricing in this article. My opinion of their ground beef, rib-eyes, top sirloin, New York strip, pork loin and pork chops is still the same – absolutely amazing. They have THE BEST pork chops you will ever taste in your entire life. Every time I make them, I think that they’re worth the entire subscription alone! Their wild salmon comes in 2 pound bags, with several pre-cut filets inside. Both my son and I LOVE salmon, so the two of us made a simple sheet pan-style dinner. It was delicious! Very tender and flavorful and we both wished we had made more so we could have seconds! During the holiday season, Butcher Box offers you the ability to order the traditional cuts of meat– including a lamb roast, a rib roast and turkey! I had never personally cooked lamb before, and only had it on one or two occasions. I don’t remember it being memorable. However, if every lamb roast was as good as the one we had from Butcher Box last Christmas, we’d have it every year! The lamb roast was so, so good… incredibly tender, absolutely delicious and the one roast was WAY MORE than enough for the four of us. We had so much leftover that I froze it and we enjoyed lamb tacos for many, many nights! I was super nervous to cook the Thanksgiving turkey this year, partly because I had never done it before, but also because I didn’t want to screw up cooking a pastured turkey! I followed a tried-and-true recipe and my husband’s entire family raved about how delicious the turkey was. And I admit, it was some of THE BEST turkey I’ve ever had! My husband was a skeptic about their ribs and thought they couldn’t be better than the ribs we buy from Costco. Butcher Box proved him wrong! I used the ribs from Butcher Box to create my slow cooker ribs recipe, and they turn out perfect every single time. Our only issue is that we always wish we made that second rack! 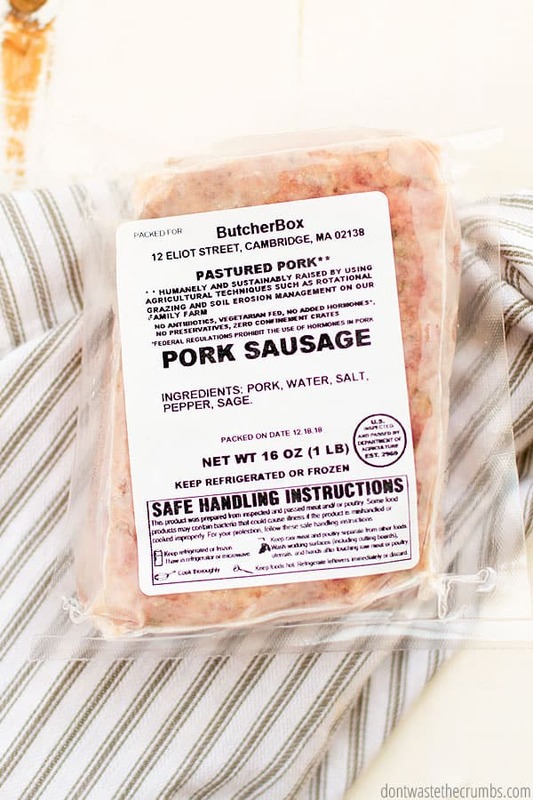 I’ve heard from several people that finding natural ground pork locally is hard, but I don’t have that issue now that Butcher Box offers it in their monthly boxes! 9 times out of 10, we use the ground pork to make homemade breakfast sausage. The 10th time we make egg roll in a bowl and chow down on that! What changed at Butcher Box since the last time? A few things have changed since I shared my original review, but they’re for the better. You now have the option to change your monthly box. I don’t know if I missed this before, but when I reached out to Butcher Box and asked them to put one month on hold because I had beef coming out of my ears, they told me I could switch my box to something else! 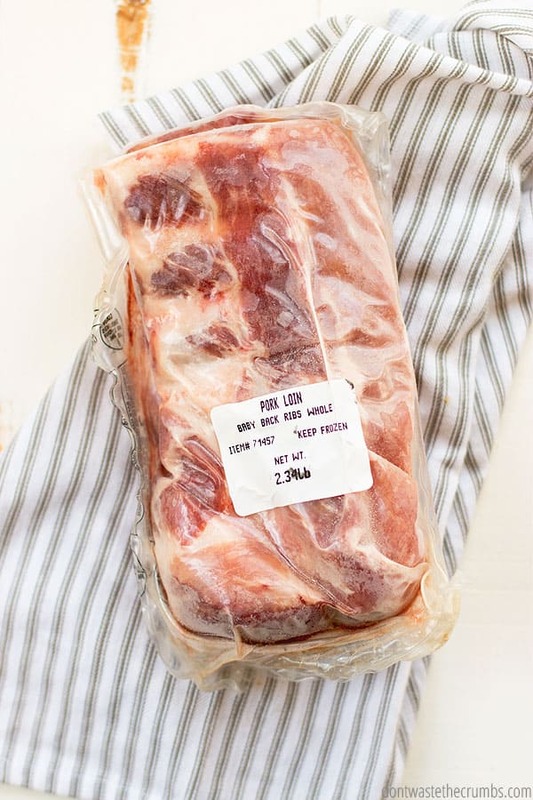 This is perfect for keeping our freezer stocked with grass-fed beef, pasture-raised chicken, and heritage breed pork. 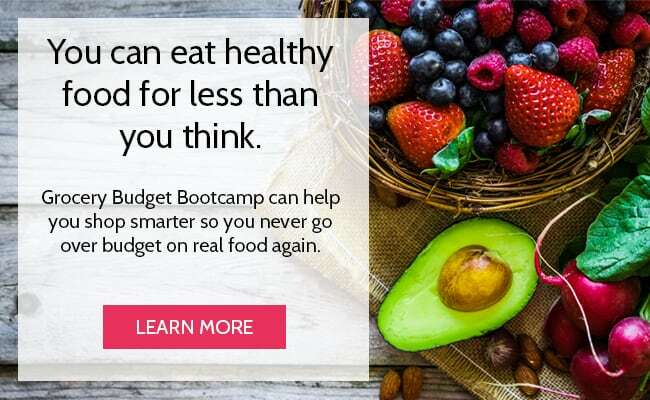 I can balance our monthly grocery budget AND the need for more or less meat, depending on what’s going on in any given month. The Classic Box is the same price as the Custom Box. The Classic Box used to cost $20 less than the Custom Box. At first glance, you might see this as a negative. I see this as a HUGE positive! That means that you can pick and choose the exact cuts of meat you want without having to pay more to do it! 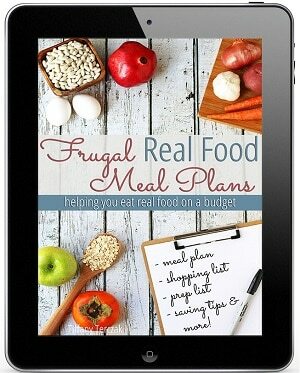 It’s perfect for picky eaters (like my husband) or for when you need a specific cut for your meal plan. You get an email about your shipment BEFORE it’s processed. I LOVE getting an email at the end of each month reminding me about my order that’s scheduled to process soon. Again, I’m not sure if I just missed this last time or what. It gives me a chance to check my freezer to see what I’m low on, to check my meal plan to see what I need, and to check my family calendar to see what upcoming guests or parties we have planned. I can login on my own, update my order, and then have everything I need when it arrives on my door step. The packaging has changed, and it works! Getting high quality meat from point A to point B (which could be as close as 5 miles or as far as 5,000 miles away) WITHOUT sacrificing the quality or integrity of the meat can be a challenge. Butcher Box has stepped up to the plate! While their insulated bags were cute, they weren’t always getting the job done (especially if you live far away from their headquarters). They switched to insulated boxes, so when you open the box, the entire box is insulated with 1” thick material. On top of that, there is a significant amount of dry ice inside that insulation so that your meat arrives cold and safe, according to FDA standards. Even with the old packaging, my meat has never arrived completely thawed. However, the new packaging means my meat is rock solid frozen, every time! They’ve upped their game in education. It is perfectly safe to refreeze food that has been thawed in the refrigerator, WITHOUT cooking it first. If food is partly frozen, as cold as if it were in a refrigerator (40 °F), and still has ice crystals, it is safe to refreeze or use! You may have heard otherwise from your grandmother, but it’s simply not true! I love that Butcher Box has taken initiative to educate their customers on what is considered safe and not safe, according to FDA standards. They now send a super helpful infographic each month via email after your order processes. There’s also an insert in your actual monthly delivery. They invested in customer service. 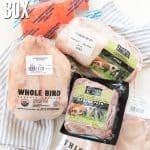 I know first-hand how important customer service is, and that’s why I personally reached out to Butcher Box last year and brought YOUR concerns to them. 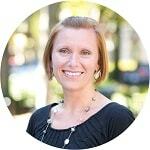 In turn, they hired a new customer service manager and drastically reduced response time. Your concerns trickled up the chain, too. They’re planning to open two new distribution centers to help reduce transit time for hard to reach states. I know that every company is run by humans and humans make mistakes, but I love that Butcher Box isn’t sweeping them under the rug. They acknowledge them and make plans to fix them in the best interest of the customer. I’m not sure if customer service gets any better than that! I personally am a VERY happy and satisfied customer and have been for quite some time now. If you’re looking for high quality beef, pork and chicken, I highly encourage you to give Butcher Box a try! $10 off + FREE Bacon + FREE ground beef on your first order! My husband may not be a big fan, but the rest of us love it! My kids always ask for burgers and meatballs and I love making it for them, especially since A) it’s grass-fed beef, and B) it was FREE! 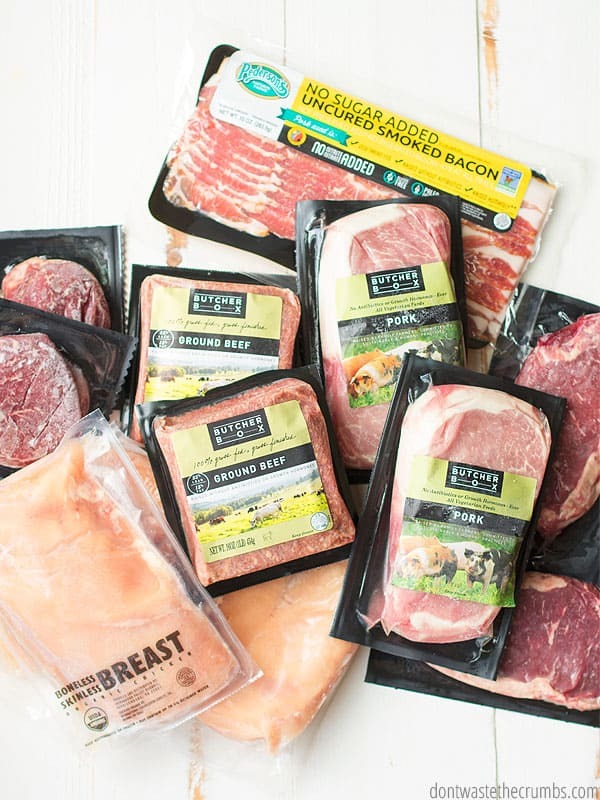 Joining Butcher Box when they have a promotion like this is a great way to maximize your grocery budget dollars. 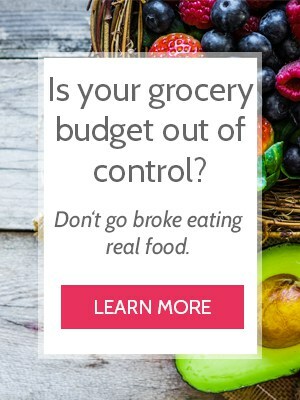 It’s one less thing you’ll have to buy at the grocery store! Plus there are plenty of ways to stretch your meat, like the tips in this post for stretching ground beef where I turned ONE POUND of ground beef into FIVE MEALS worth of meat! CLICK HERE to get your free 2 lbs of ground beef and bacon! How important is high quality meat to you? Have you tried Butcher Box before? 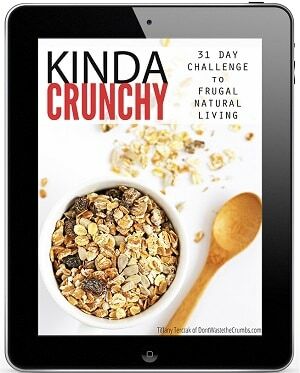 What is one thing standing in your way from trying their monthly subscription? Leave your comments below and I’ll do my best to help you out! So strange! Maybe I’m seeing a cached page on my end. Thanks for the update Doreen, and considering you can pick your cuts in the custom box (meaning lots of big pieces! ), it’s well worth the price difference in my opinion! I was wondering about this , too, because when I checked it still says $20 more for the custom box, too. $129 for classic and $149 for custom. I’d love to hear if someone else can confirm this. Do you get the classic or the big box? I have the classic box Michelle. So your post mentions a discount code, I don’t see it listed anywhere. Can you tell me the code? I don’t mention a discount code Michelle, but if you purchase through this link: https://dontwastethecrumbs.com/go/beefforlife/ you get 2 pounds of ground beef in every box for the life of your subscription! I haven’t, and it looks like they don’t deliver to my state. It look like it would be great to try though for anyone not concerned about grass-fed meat!